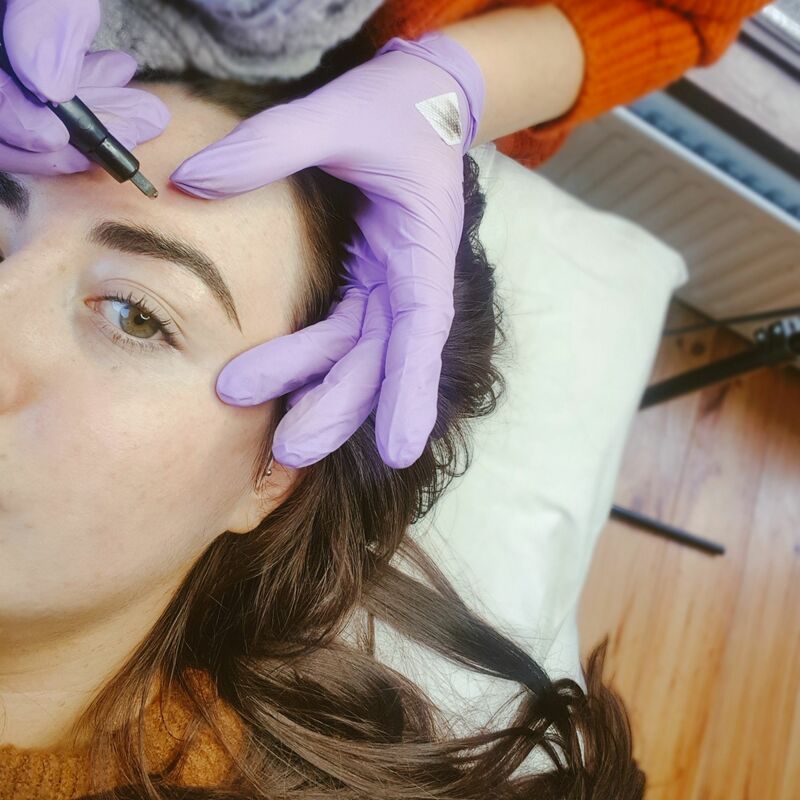 Pals, I got my eyebrows microbladed and I wanted to answer some frequently asked questions and share some tips with you based on my experience. Disclaimer: This is a collaboration with Brows by Rachel Crowe. 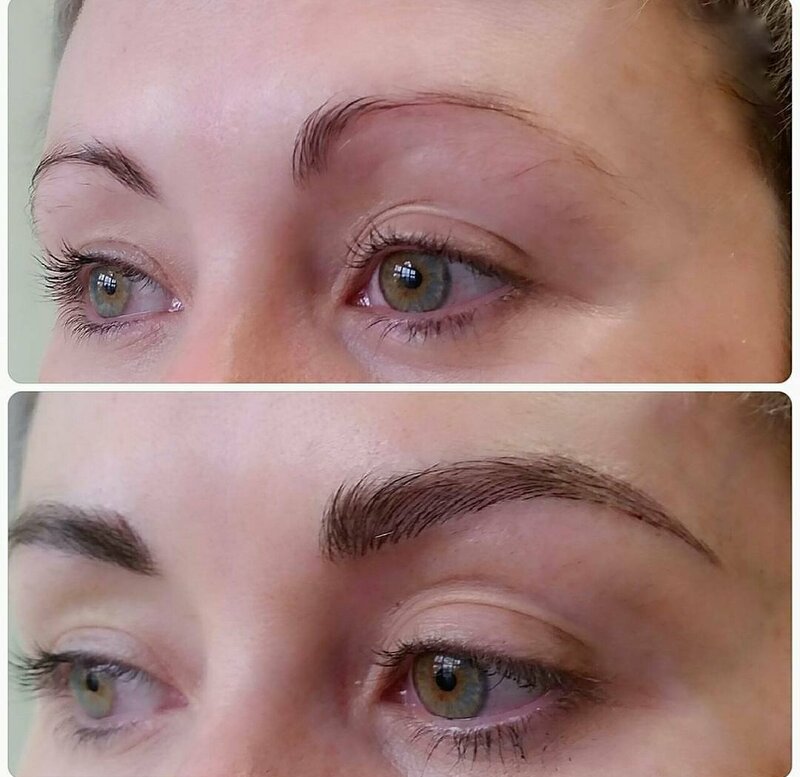 Rachel is a fully qualified microblading artist (Phibrows qualified) based in Kildare and she is incredible! All photos in this post are of her work (amazing, right?). Follow Rachel on Instagram for more before and afters. Contact via text or Whattsapp for appointments on 0857814121. I received my first treatment about 8 months ago. I waited to write this blog post until now because I wanted to see how they wore and most importantly, if I regretted it (stay tuned…). Microblading is the art of inserting pigment into the skin, using a tiny (micro) blade, to make real hair-like strokes. It’s the same concept as tattooing but it is not nearly as deep and not nearly as permanent. The blade just scratches the surface of the skin (like a paper cut) rather penetrate it. I’ve embedded a video below because that will explain it much better than I can! What are the Risks Associated with Microblading? I don’t want to scaremonger but I think it’s very important to know that there are risks associated with this treatment. Please make sure that your therapist is fully qualified to do microblading. If they go too deep, it could scar your skin. I’ve seen some botch jobs on Facebook. Please do your research pals. if someone has no before and after pictures on their social media, that would ring alarm bells for me. Rachel is amazing and I have no reservations about recommending her. Who can & can’t get Microblading? Almost everyone can get microblading. If you went to town on your brows in the 90s, lost them for whatever reason or, they just won’t grow, this is a potential solution. For me, I have brows! However, they were very unsymmetrical (one was higher than the other) and there were some gaps where hair just would not grow! They have balanced out my whole face, honestly! Here are my Before & After pictures (first treatment). There are some restrictions though. 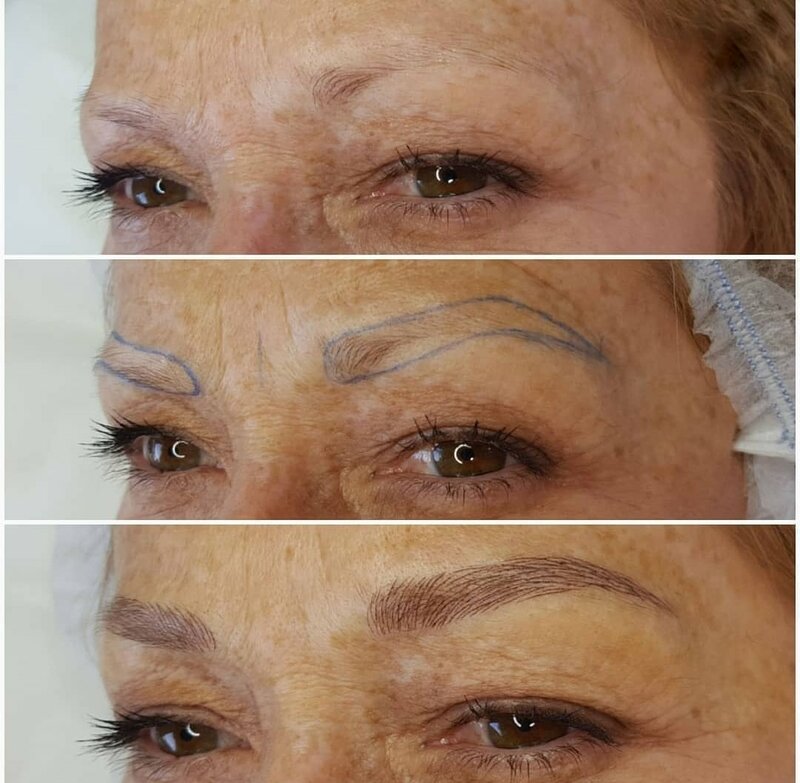 For example, if you have had botox in the weeks before the treatment, you’re pregnant or are undergoing chemotherapy; you are advised to wait to have microblading until sometime afterwards. Rachel will go through all of this with you during your consultation. Tip: Before making a booking, make sure you meet the criteria by discussing with the therapist beforehand. It Depends! It depends on who does them, how deep they go and most importantly whether or not they numb the area first! Some places don’t numb the skin because waiting for it to develop takes time, and time equals money people (seriously!). From my experience with Rachel, I did not feel a thing! She completely numbed me. I don’t think I could cope if I wasn’t numb. Friends of mine said it is excruciating! Tip: Before you book in, ask the therapist whether or not they numb the area. If they don’t, reconsider! You know how painful papercuts are… imagine hundreds of them at one time *squirms*! Again, it depends! It depends on your skin type and specifically, how oily it is! It doesn’t last as long on oily skin. The general guideline is that it can last up to 12 months but it could be longer or shorter. However, as I mentioned above, if it’s not done properly, you could be left with marks that last a lot longer. Do your research pals. Aftercare advice differs from therapist to therapist. For my aftercare, I was given 2 tiny pots of product. One was a soap and one was wax like. I was to wash them that same day and then apply the wax every couple of hours. The main aim was to keep them clean and prevent them from drying. When they dry up, they scab which can result in a loss of pigment (and it looks awful). Tip: I’ve heard a lot of people talk about how their eyebrows scabbed and this was normal. From my perspective, they don’t have to scab and mine didn’t. 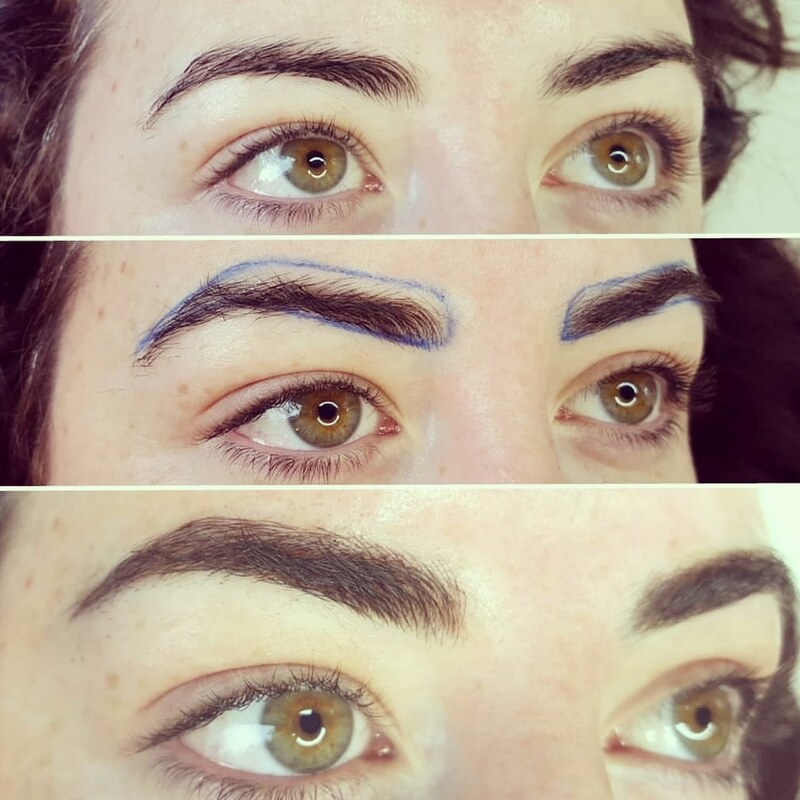 Naturally, the price differs from place to place but with Rachel (a fully qualified microblading artist with Phibrows) the treatment costs €450. This includes 2 sessions, the first one (€300) is really to map out the shape and colour match and then the second one (€150… the top-up) is where the magic happens! This is about average. I have seen some people offering them for much cheaper but listen… you get what you pay for. If someone is cheaper than everywhere else, be skeptical, ask questions and look for pictures of the therapist’s work. There you have it pals! I really hope you found this post helpful. Oh and one last thing, do I regret getting microblading? ABSOLUTELY NOT! I am obsessed with my brows!